It is our mission to put a light in the eye and love in the heart of our children. We strive to create well rounded competitive members of society for tomorrow’s world according to the individual child’s own passions and interests. 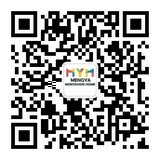 It is also Mengya Montessori Home’s mission to provide a platform for world-leading experts to connect with the public pushing the development of education for the wider community. Our professional, highly experienced, caring teaching and management team help us achieve our goals every day. MYM graduates frequently enter top primary schools across the globe. On behalf of the staff and administration of the Mengya Montessori Home, I would like to extend a warm welcome to you and your family. A Montessori learning environment is like no other. Our main goal at MYM is to provide a carefully planned and stimulating environment, which helps children develop within themselves the foundational habits, attitudes, skills and ideas essential for a lifetime of creative thinking and learning. At MYM, we strive to foster a love of learning in all children. Our professional teachers prepare the environment to make every day a new day of discovery. Children are encouraged to make their own choices and be responsible. A Montessori environment not only supports a child’s cognitive development, but it also helps build up social competence and critical thinking skills. 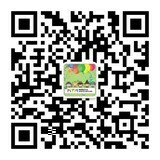 We welcome you to take a tour of our school, meet with our staff, and tell us about the likes and preferences of your child. We invite you to come to share your talents and your cultural backgrounds with our children that help in further broadening their worldview. I look forward to getting to know each of you and working together to make this educational experience the foundation for your child’s future the very best it can be.